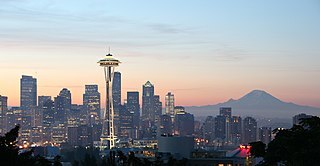 In cyber-crime, Seattle has earned a distinction it’d rather not have – the No.1 riskiest online city in 2010. That’s according to Norton from Symantec. The antivirus company teamed up with research firm, Sperling’s BestPlaces, to determine the locales the deem the most-susceptible to Internet crime. But tech-savvy Seattle atop the list of the most-perilous cities? Maybe the list is accurate and maybe it isn’t. A leading cyber-security expert, Stan Stahl, Ph.D., questions the data. “While some of the factors used in assessing ‘risk’ would seem to appropriate, my bottom line was expressed best by G.K. Chesterton: ‘It’s not that they don’t know the answer. It’s that they don’t even know the question’,” says Dr. Stahl, a noted Internet security expert in Los Angeles (www.citadel-information.com). A Norton press release states its list of cities was developed as a result of the cyber-attack data compiled by Norton and other factors. The top five: Seattle, Boston, Washington, D.C., San Francisco, and Raleigh. Percentage of computers who connect to hotspots using a VPN (virtual private network). Numbers of CISSPs (certified information systems security professionals), CISMs (Certified Information Security Managers), etc. So, it’s a question of what he calls “meaningful mathematics,” – everything is relative. Again, based on the expertise of Dr. Stahl, if you live in one of the listed cities, you don’t necessarily have to worry. My thanks to him – he’s been very gracious with his analysis for many years.